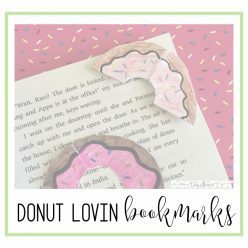 In my Donut Lovin’ Bookmarks post, I wrote about our school wide “Day of Wonder.” It happens about once a month on a minimum day and gives kids a chance to explore their curiosities and interests. It is very open ended in that students in grades K-5 can come and go as they please. Because crafts are my happy place, I usually do something crafty. 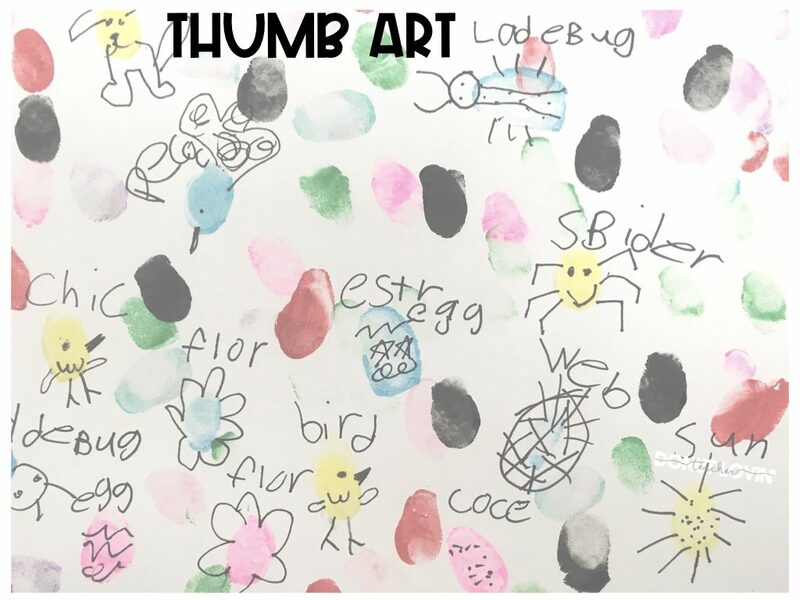 Most recently, we made Harry Potter Spell Books and did thumb art. The couple of times I opted for something else (I’ve done Legos and Google Drawings/Quick Draw), kids came to my room and asked me why I wasn’t making anything. 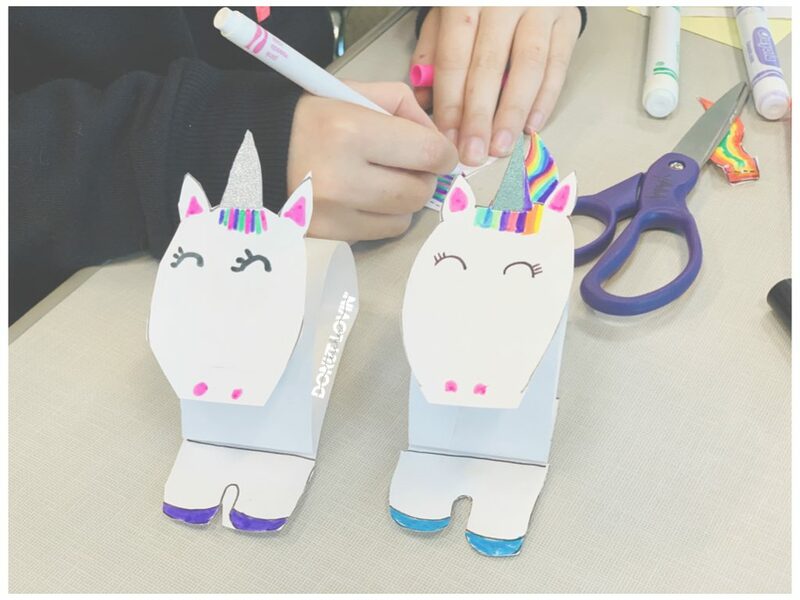 This month I couldn’t disappoint my mini-crafters so I hosted UNICORN BOBBLE HEADS, as inspired by this video tutorial from Easy Kids Craft. 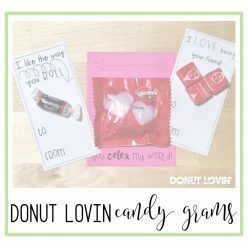 I like for the crafts to be somewhat open-ended so that kids have a chance to customize things to their liking, but I also want them to have the chance to make what they came for! I thought about making this craft for 3rd-5th graders only because it requires directions to be followed, but where’s the fun in that? I asked my students who wanted to volunteer to take on a leadership role to watch the video in advance, make one at home, and then help the younger students make their own! I also decided to create a TEMPLATE for anyone who wanted the basics! 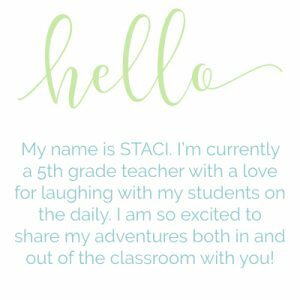 With the template, it provided kids with just the right amount of help, leaving them plenty of ways to customize! One girl wrote DREAM along the bottom and one boy made a double headed unicorn! I even had a couple boys come in and say they wanted to make their own bobble head–I offered them the basic structure, but just gave them some white paper and they made their own robot bobble heads! They left before I could snap a picture–darn! 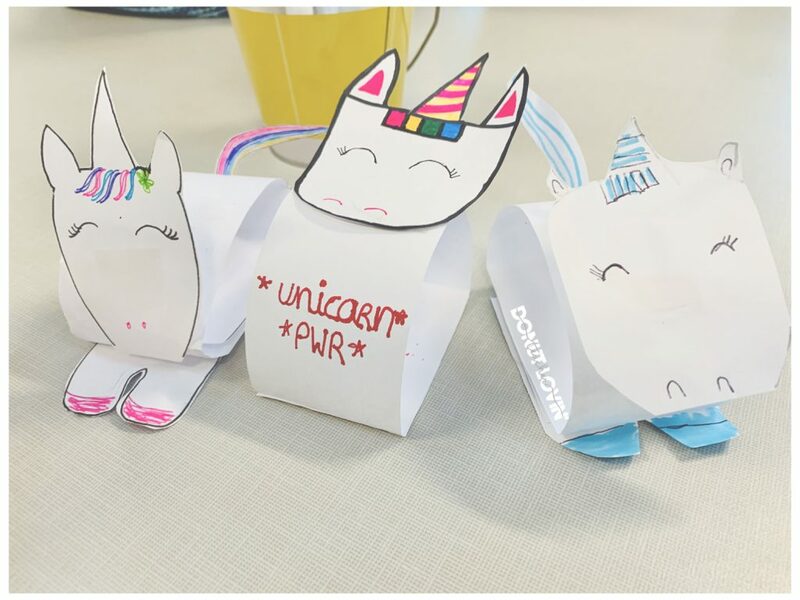 Supplies for making your own Unicorn Bobble Heads! I absolutely love having this day to build relationships with students across all grade levels and watch students find joy at school. It is so great to engage kids in the things I love to do in my free time and for everyone to practice their life skills and learning beyond the curriculum! 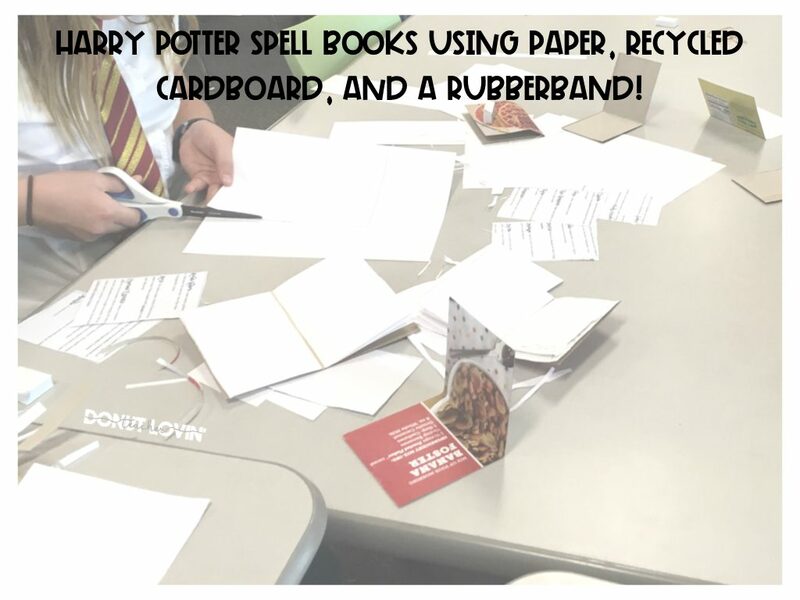 If your school doesn’t have a special day like this, I’m thinking this can be a GREAT gift for your students for Valentine’s day with a little note that tells one way they bring MAGIC to the classroom!